The luxury brand Bugatti has already conquered with their unmatched, 1,500 horsepower Chiron sports car — but it seems as if the affluent brand decided to play around with road bikes and use their extremely valuable time on other pursuits — namely, other forms of transportation — the road bike. The Chiron has inspired some spin off projects, as the supercar is finely designed and is Bugatti’s current crowning jewel. We suppose we should not be too surprised that Bugatti has delved into biking — the company’s recent Chiron-inspired Niniette line of yachts is an incredible homage to their favorite car model, the Chrion — but at around $2 million a piece, it’s a difficult sell, even to the wealthy. So, how does the Bugatti hold up? Simply called the “PC Bugatti Bike” — while the name is quite simple, the bike is anything but. Priced like an SUV as opposed to a four figure road bike, it is most likely that none of us could afford this Bugatti. 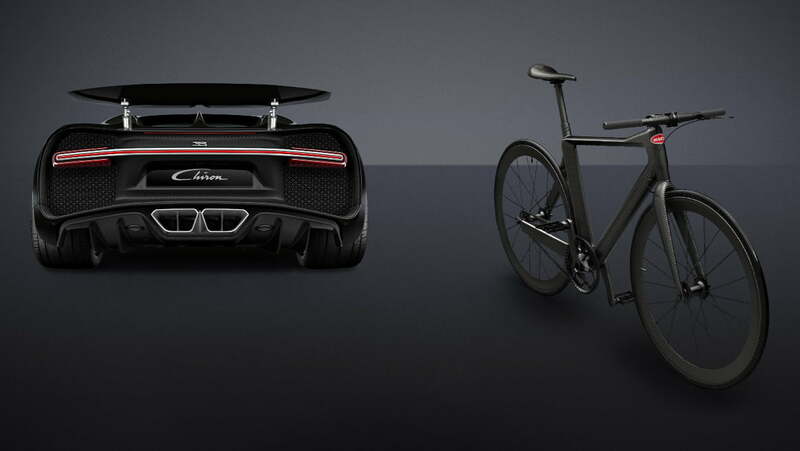 To create the PG Bugatti Bike, the luxury brand partnered with luxury bike-maker PG (hence the name of the bike) to design and create their cycle. However, it’s not the first time that PG and Bugatti have partnered to release a bike with Bugatti branding. The bike is simply the “PG Bugatti Bike,” and it shares a large amount of design language with the Chiron supercar. Like the luxury carmaker’s supercars and sports cars, the PG Bugatti Bike is built using a generous helping of carbon fiber. 95% of the bike is pure carbon fiber, which is excellent for keeping the weight down to less than 11 lbs. There is some other technology built in, including aerodynamic tubing and a shock absorption bar. Limited to just 667 bikes worldwide, this high-tech bike was manufactured by Kussmaul, developed by PG, and designed by Bugatti. There are also a couple of interesting and humorous quirks about the bike too. 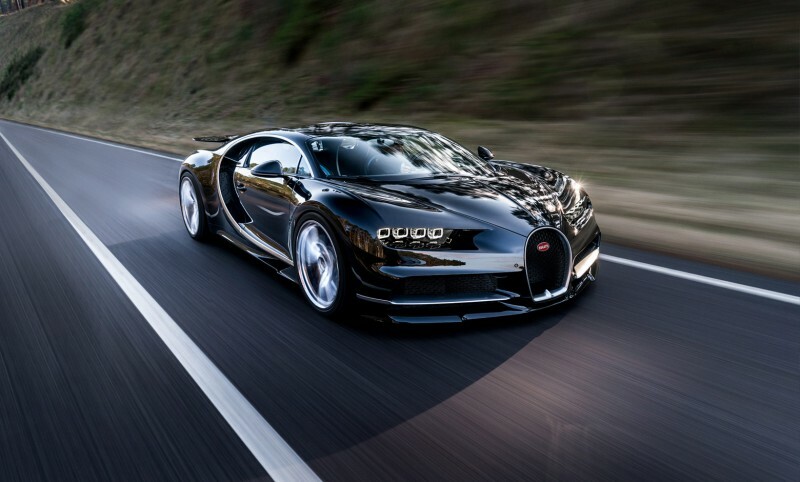 You can have it customized to match your own Bugatti automobile — which you definitely do not have. You can also add special paint jobs and leather as well, but even after you have customized the bike to your specifications, Bugatti states that you should not actually ride it around town. So…you get to spend nearly $40K on a bike you should not ride around the block. The company states that the PC Bugatti Bike is “a piece of sports equipment which is not intended to be used on public roads.” Typically, “sports equipment” is very functional and durable, but we suppose that for this luxury brand, it’s all about the looks over functionality. That’s pretty disappointing really, especially considering that the previous PG Bugatti retailed at over $39,000. Should this bike have been functional enough to whizz around and race on the roads in style and high-quality functionality, it would have been worth it to some — but with the lack of real functionality, the PG Bugatti Bike looks to be all about the name and the Chiron-inspired design. Personally, it is awesome to look at, but at that price (and even more important, with the lack of functionality), it isn’t really worth considering beyond that. Their logo for this bike is “the unrivaled urban bike” — well, it is certainly unrivaled — in price, but not in function.